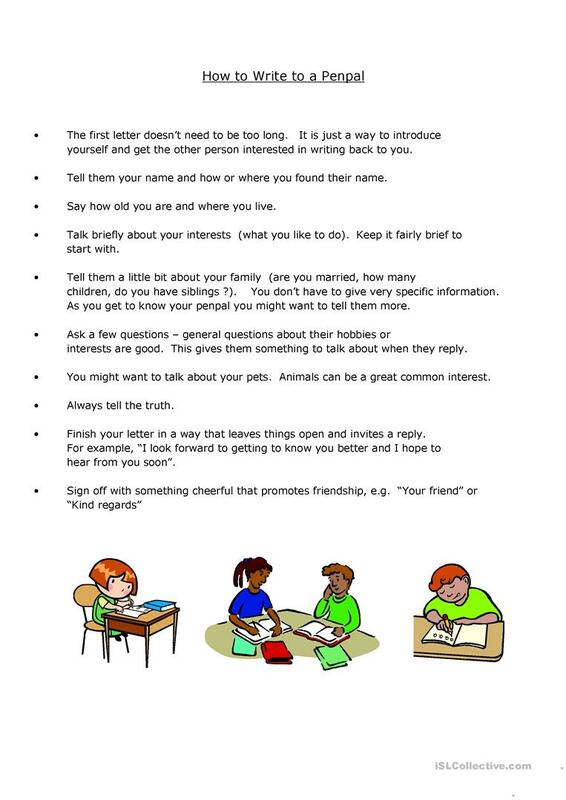 A compilation of tips for writing an initial Penpal letter. 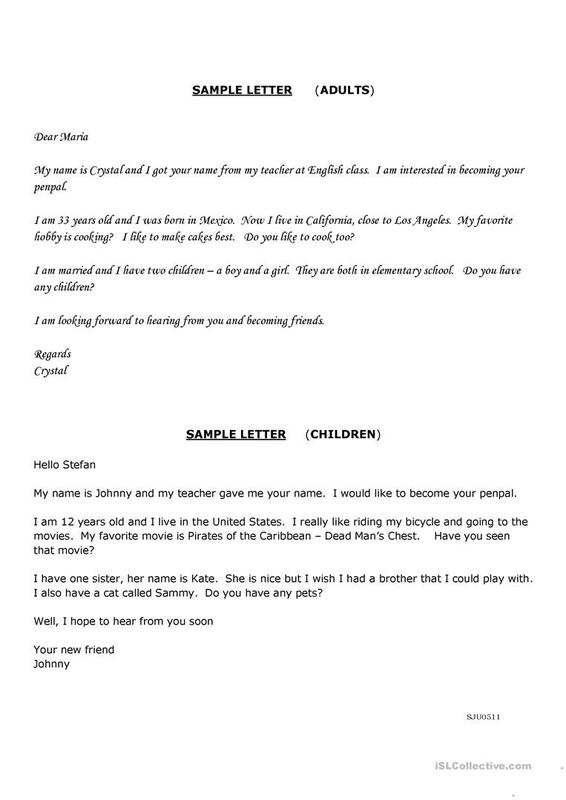 Sample letters (one for adults, one for children) are included. This is instructional material, rather than a worksheet. This printable, downloadable handout is meant for business/professional students, high school students, elementary school students and adults at Elementary (A1), Pre-intermediate (A2), Intermediate (B1), Upper-intermediate (B2), Advanced (C1) and Proficient (C2) level. It was designed for enhancing your students' Writing skills. It focuses on the theme of Friends.